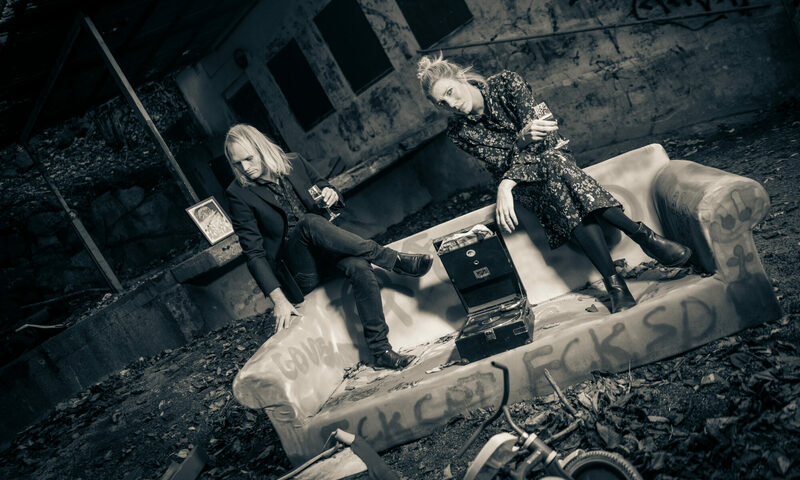 English Trash-Blues-Garage Duo from Sweden. 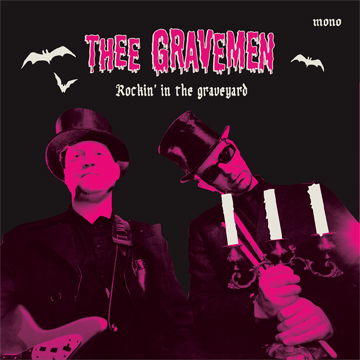 Thee Gravemen are two English guys, Lee Tea on guitar & vocals, and Daz Trash on Drums & Screams. Wild primitive sounds from the grave! They have been playing all over Europe now for three years and are still going strong. Releasing the 3rd 7″ vinyl single this time on Heptown Records, out Feb. 8 2013. The A side blasts out a real stomping and strolling rock ‘n’ roll song called “Rockin in the Graveyard” while the B side is a fabulous spooky version of the late 1959 classic “Tornado”. The 2 man band get their influences from the likes of Screaming Lord Sutch, The Cramps, Screaming Jay Hawkins, Hasil Adkins and The Damned etc taking 60s garage, 50s rockabilly, 70s punk and putting it in a blender with some vintage horror and some voodoo magic to make this wild and primitive stripped down sound Thee Gravemen call music! BUY IT AT HEPCAT STORE!